Because you are a cruddy copywriter. Or is it because that copywriter is all over Facebook celebrating their pants off and painting the town red in true entrepreneurial zeal? They’re shouting from the rooftops they do everything amazingly and they have the following, book deals, and bank balance to prove it? And deep down, you think you’ll never be like that. When you work in marketing and, you know, break all the stereotypes by being a decent, honest person, it can be easy to forget 1 rule. Even though it’s as old as – well, marketing. Don’t believe everything that copywriter says. Actually, don’t believe everything anyone in marketing says. Copywriters are happy to take credit for a thousand gazbillion dollar launch or sales campaigns because, well, their words made people click the clicky button, right? They’re surrounded by fanfare and businesses telling the world they used Janie Perfect* copywriter for that winning thing, right? Only, no. Copywriting is an island. Sounds brilliant in theory, but in practice not so much. As a working copywriter, and a good one, I know the right words can sell a product and accelerate a good business. But words aren’t everything. The copy part of a success equation doesn’t add up to more than a good chunky smidge. *Not a real name. If your name is Janie Perfect…sorry. And cool name by the way. Your conversion rates (adding up to dollars in the bank, yo) depend on a slew of other things. – Is the product any good? You can’t polish a…terrible product, after all. – Do people know the brand? Are they well known already for the thing? Are they front of mind all the time? – How much money was spent in promotions and getting the thing under the nose of the right people? – How much money was spent in expenses? Gazillion dollar launches of things with an 80% expense rate (including paying all those high-flying marketing people) leaves cents at the end of the day. Next time you see that copywriter singing and dancing about how freakin’ awesome they are, get a grip on yourself. Here some examples from real life; names have been omitted to protect the innocent – and the guilty. Scrolling through my Facebook feed and a woman I have actually met is advertising her marketing services. She’s saying she created a 6 figure business in a hot minute (or 6 weeks, or some timeframe suspiciously short for that claim to be a fact). When I last spoke to her 8 months ago, she was complaining about the fact the business didn’t make enough money for her to pull a wage of even $50 a week after 2 years of hard slog. So yes – 6 figure business looks good on Facebook ads, doesn’t mean anything about the success of that business and its capacity to support baked beans for dinner. Real life – pretty average. I don’t know about you, but I want at least $50 in my pocket at the end of every hard yakka copywriting week. 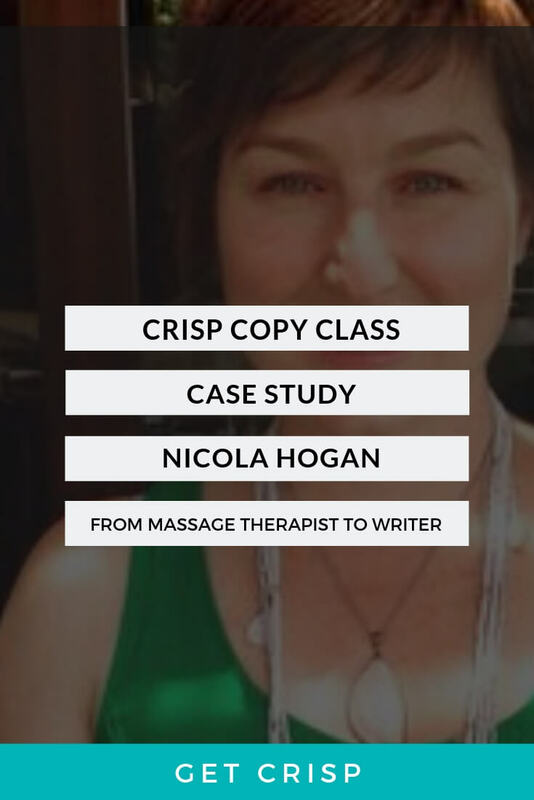 Blogger-turned-copywriter starts copywriting business. Because – hey, it’s writing, right? [Insert meaningful silence and knowing looks here.] Massive loyal following she’s been building for 10+ years. All of them use her and recommend her. 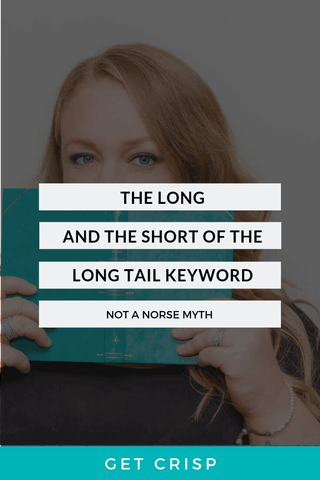 Because of this, her copywriting business doesn’t even ENTER the startup phase because she’s got a pre-built, personal brand cohort of word-lover-lovers who will adore literally everything she does. – Do those folk know anything about good copy, as opposed to good writing? Cos if you read my blogs you already know there’s content writing, and then there’s copywriting. Yep, that’s two different skills y’all. – Do the stats add up? Has she even had a chance to collect any data about conversion for her clients? Real life – not transferrable outcomes. Fame will get you through the door but delivering consistent outcomes will get you a spot in the good lounge and an invite to the very thankful brand’s Christmas parties forever more. Now, everyone who knows me knows I am always the first one to celebrate. Celebrate… anything. I fully support anyone’s right to celebrate anything they damn well please at any time with any kind of fanfare and (biodegradable) steamers. So, if you’ve done a cool thing for a client and it’s worked really well, rent out a billboard my friend and get a NIDA graduate to stand naked in front of it singing your praises. Acapella. Fact: Us working copywriters need to make a big fuss of our accomplishments. Don’t let someone else’s copy celebrations get in the way of you starting from where you are and getting on with it. Because you know what? It doesn’t even mean you won’t have similar success (genuine success not crazy marketing claims). Give yourself a break. You can only start from where you are, and comparing yourself to other copywriters can be paralysing. Remember, you’re usually not seeing the full, behind-the-scenes picture of all those other Instagram shareable successes. They don’t normally post about their ‘Everything-I-write-is-crapola’ days. Next time you turn on Facebook, read through your favourite marketing group celebration day, and decide you’re going to go stack shelves at Coles…just wait a bit. Think about the whole picture, not just the last genius stroke of paint at the end. Remember, give yourself some perspective, and don’t believe everything anyone in marketing says. And last of all, persist. 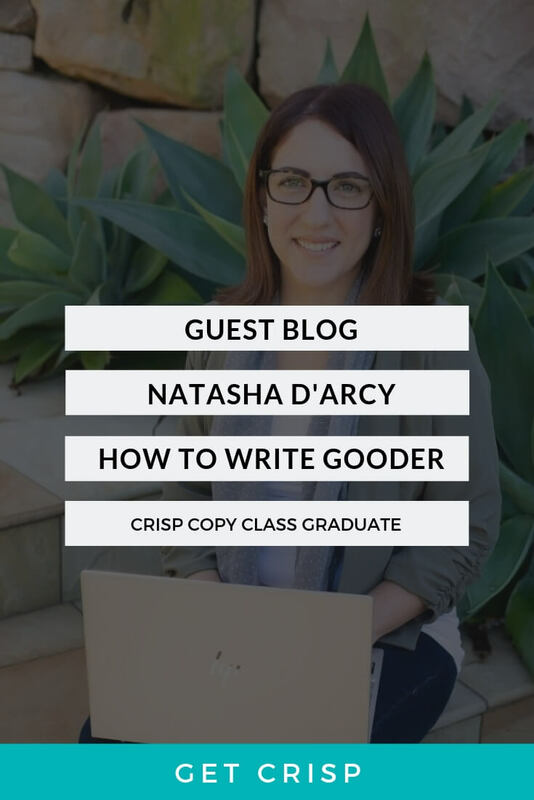 You’re probably not a cruddy copywriter, but if you’re new to the scene, or established with nagging doubts, you could get on the waiting list for the Crisp Copy Class, hang with intelligent women driving all sorts of businesses, and gain the confidence you need.